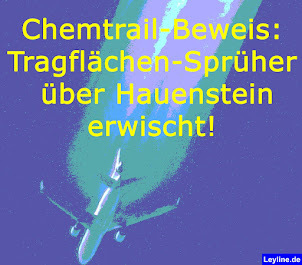 Leyline.de: Whistleblower: "German Leibniz Institute proves Chemtrails!" Aluminium in the air, the daily madness! What kind of people participate in this incredible crime? From this, we can see, that this institute is an absolute professional and works on its tasks for over 20 years. Our interview was conducted on the 21st of january, 2013. We had to wait with the publishing until now, in order to protect the whistleblower, who meanwhile doesn't work at the institute any more. At the moment, we only publish this transcript of the interview. Of course, we are in possession of the original tape recording of this interview with "Dr. Who" (we changed his name). 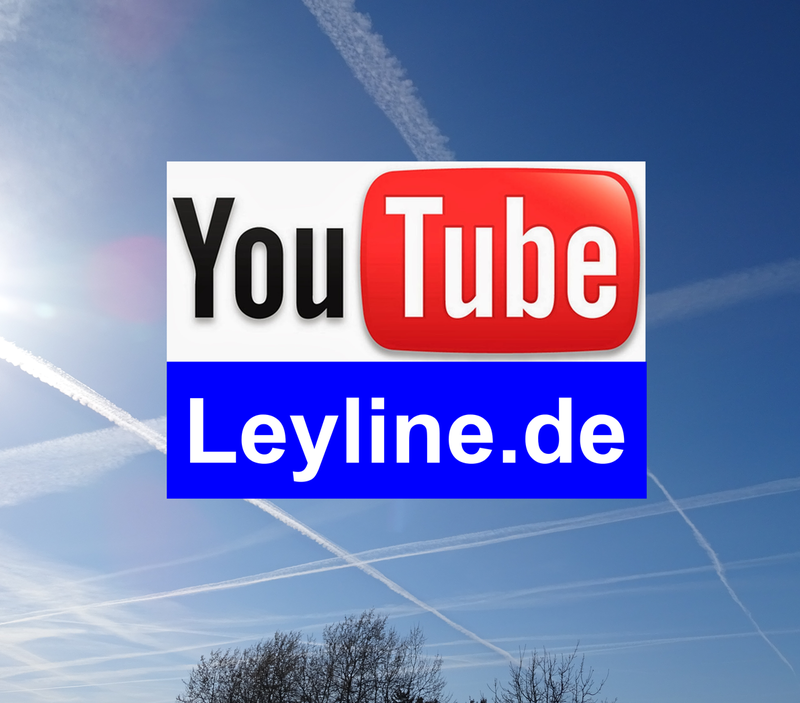 Leyline: I just want to know if you know something about the Chemtrail phenomenon here in Germany? Because you are doing some measurement here and I think you should know that we have nanoparticles in the air and …. You know about this? Dr. Who: Yes, yes, our group are doing this! Leyline: Ah o.k., I see. And there are also I think some health problems correlated with that. Are you measuring these kind of particles? And the quality and the quantity of these particles? Dr. Who: Yes, yes, but I think other groups in another institute, they focus on the health effect of the ultrafine particles. But we are measuring the chemical, physical and optical properties. We are measure units and we measure the chemical composition and we measure how many particles in the air and how big and … But another topic is about the health effect. We know of course they have a bad effect on the human health! Leyline: Ah yes, I see, o.k. And the particles I think are between 100 and 200 nanometers but they are also under this line I think. Surely you know more about this one. Dr. Who: What do you want to know? Leyline: The size of the particles. I think it’s about 100 nanometers up to 200 if they are bent together in the air but they are also tinier in size, isn’t it? Dr. Who: O.k. I think if you’re from the point of a view particle size, at this moment, depend the measurement techniques, we can measure as small as 3 nanometers! 3 nanometers and up to micrometers, something like 2 micro or 10 micrometers like dust. It’s dust. But the smaller one is 3 nanometers. I heard, in America they can measure something like 1.5 nanometers in the air. Leyline: I see and where are the most particles, in which size? Dr. Who: Ah o.k, but this strongly depends on the place. For example, in the urban. If you have a big influence from a traffic, and then they should be maybe peak around 100 or 200. But if you ‘re a remote area, urban, ah, no, a rural area and the peak of the particle size distribution will shift. Leyline: Ah, o.k. I see. Shift means it’s lower, or, it’s higher…? Dr. Who: No, sometimes they may be go to 300 nanometers or maybe they are lower to 40. Leyline: Ah, o.k., I see. Dr. Who: It strongly depends on the place. For example, we measured over the ocean. And there are two peaks. One is 40 nanometers, another between 100 or 200 I think. Leyline: Ah, I see. And there are also ships which are carrying these things out in the troposphere, isn’t it? Because I found something out: I was in southern France and I saw some stripes which are very unusual for airplanes. Leyline: Do you know about this one? Dr. Who: You mean after upper troposphere? Leyline: Yes, they are called ship-trails, I think. Leyline: Ah, you don’t know about this topic, ok.
Mr. Who: Yes, but if you want to know more, I think you can call other persons, I think you can find it on the top of the … main page, eh … website. Leyline: Yes, I saw it, yes. Dr. Who: Wolfram Birmili, he is our group leader. I think he may know more what I mean. Leyline: Ah ok. What is his name? Leyline: Birmili. O.k., ah, I see. I want to call him then on another day, but it’s late today, I think. Dr. Who: Yes, he is very, very busy. 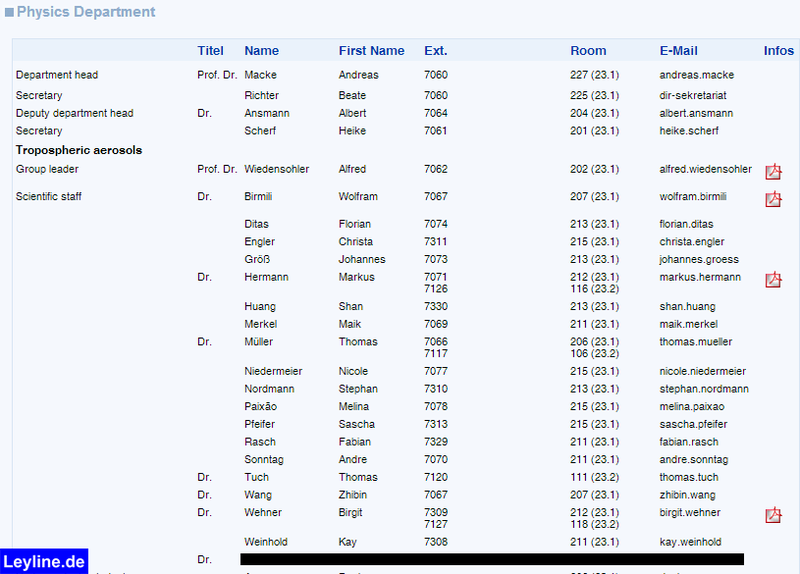 Leyline: Busy, ok, I have to try sometimes, ok. And you’re measuring in different locations in Germany or only in your location, where your institute is? Dr. Who: I think we have ehm, eh … we measure … yes … at a lot of a place I think, eh … from Asia we measure in India and also China. Leyline: Ah o.k., I see. Leyline: And in Germany? Also in different locations? Dr. Who: Yes, in Beijing I think we are in rural site and urban site and we are also measure on board of a research vessel. And we also measure on the mountain. And we have a kind of a network in Germany. Dr. Who: I think there are a lot of a station. Leyline: Ah, I see. O.k., thank you very much for your answers! Dr. Who: I hope I answered some questions! Leyline: It was very nice to talk with you. Thank you very much. And what was your name? Dr. Who: My name is [deleted]. I'm from [deleted]. Leyline: Ah, o.k., I see. And how is it spelled, your name? Leyline: Ah, I see, Thank you very much, Mr. [deleted], thank you, bye bye. The German Leibniz Institute for Tropospheric Research proves this day by day with it's measurements all over the world! 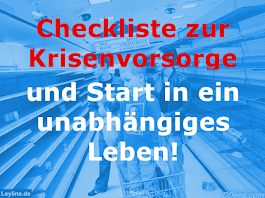 "Whistleblower: "Leibniz Institut weist Chemtrails nach!""